I'm involved in a (large) number of creative projects based in New Zealand in Auckland & Wellington, and Australia. This is my ‘research’ band. I am currently midway through my Doctoral Musical Arts Degree ( DMA) and I write for and rehearse this band on a regular basis. It is a lot of fun and I am developing my skills as a writer and exploring alternative harmonic approaches to improvisation. We have a lot of fun in this band and my tunes are not always easy! In 2015 Mike Nock released ‘ 2 Out’, the culmination of a long association and friendship. This project is still active- we are available for concerts but always need a lovely piano! In this ensemble we explore the old standards. It is a joy and privilege to play with Mike and makes me happy! My wife Caro Manins is a wonderful singer and I love Ben Wilcock's piano playing. He loves to play and really swings, and he is great! 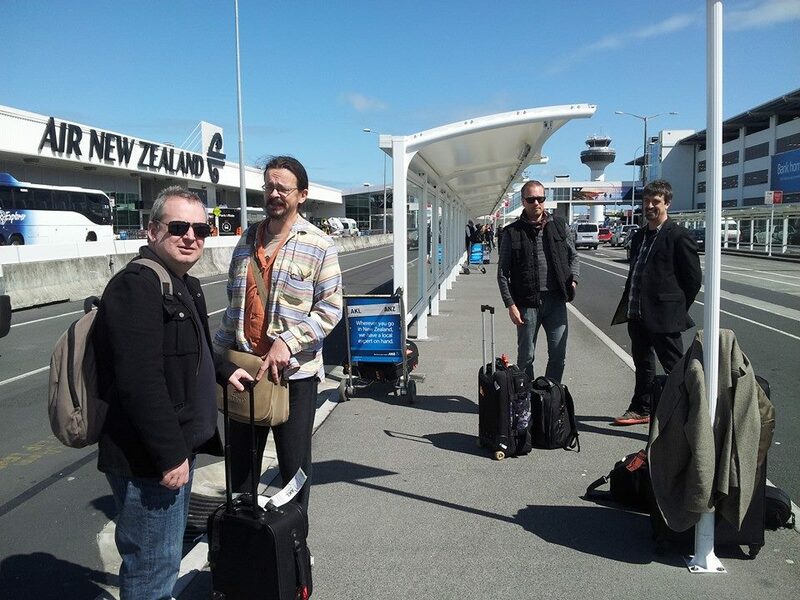 I have put this band together to travel around NZ and play at Jazz Clubs and festivals and do something with my wife! It’s really new—we have our first gig coming up soon . This group comprises of myself, Olivier Holland ( bass), Ron Samsom on drums and Kevin Field on Piano. We all lecture at the University of Auckland and are really lucky—really fortunate that we have a great musical chemistry, like each other, can play music and run a Jazz course together. We play compositions from all of us- It’s a collaborative effort. We released a CD called DOG in 2015 which won the NZ jazz album of the year award. This is WELLINGTON-based and features Reuben Bradley on Drums and Nick Tipping on Bass. We go hell for lather in this band. Saxophone trio—think Sonny Rollins at the Vanguard to start with. This band — I love this one. Its very ‘loose’ and can go anywhere musically. It features drummer John Rae, Myself and Patrick Bleakley on bass. We love playing together and are ready. 2016 saw me performing the album ‘ A Love Supreme’ and ‘ Coltrane’s Sound’ at the Wellington Jazz festival. I can tell you it was a lot of work for me - in particular. When I was asked to do this and initially thought ‘I can’t play a Love Supreme!...It’s so special!—who am I?? ?’ but then I thought that perhaps this was a bit selfish.. Played for the right reasons and with lots of preparation we had an amazing concert in Wellington. The same went for ‘Coltrane’s Sound’ . An extremely hard album to pull off for different reasons. Following this success both albums were performed for the Auckland Jazz Festival 2016 . One set each with a 20 minute break between them. This also was a success and I would like to continue performing this project. It also features Reuben Bradley on Drums, Eamon Edmundson Wells on Bass and Matt Steele on Piano. I have released 2 albums with this band and it has a great chemistry. It again features Adam Ponting on piano AND Stu Hunter on Hammond Organ, Brendan Clarke on Bass and Toby Hall on drums. In this band we play groovy tunes but we also love to explore interesting textures and concepts. It’s a lot of fun and we have a history that goes back to 2000 when we formed. It is Sydney based and you can check out Hip Flask 1 and 2 for an idea of our music. 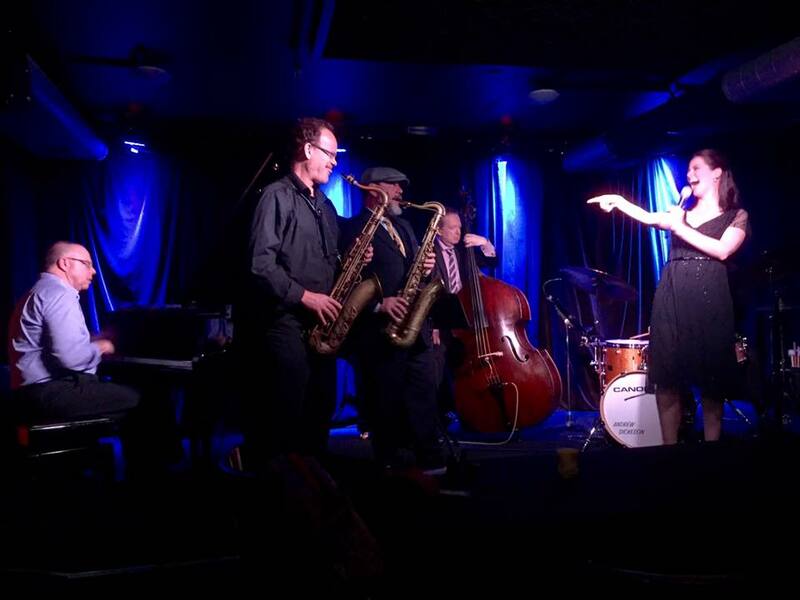 This is Ron Samsom’s group featuring Ron.me, Cameron McArthur on bass and Hammond organist Grant Winterburn. This band does not mess around. Expect high energy and intensity Jazz Funk. Ron is the composer—we play what he writes, and it’s good. The NEUTRINO CD is available on RATTLE records. Winner of the 2016 Tui Jazz album of the year this group features the beautiful music of Phil Broadhurst. When they come to Auckland they often ‘ get me in’. This is a totally mad band, and great..